Mild with heavy rain (всего 20.0mm), heaviest в среду после обеда. Becoming colder with a moderate fall of snow, heaviest в пятницу утром. Freeze-thaw conditions (максимум 8°C в среду утром, минимум -1°C в пятницу вечером). Wind will be generally light. Mild at first with light rain (всего 2.0mm) в субботу после обеда followed by colder weather and light fall of snow, heaviest в субботу вечером. Freeze-thaw conditions (максимум 4°C в понедельник после обеда, минимум -6°C в воскресенье вечером). Wind will be generally light. Таблица выше представляет прогноз погоды в Les Arcs, сформированный для определенной высоты: 1580 m. Наши уточненные погодные модели позволяют дифференцировать прогнозы между вершиной, серединой и нижней точкой катания на склоне Les Arcs. Чтобы переключаться между ними, используйте линки выше таблицы. Чтобы получить предоставление об изменении погоды в регионе в целом, попробуйте наши Погодные карты для France. Stayed in early March 2018 as my second full trip. I'd also previously spent a couple of days here on trips from La Plagne. I really like Les Arcs. For one of the big-hitter French resorts, it's got a lot of long tree-lined runs of all standards for when the weather turns bad and you need the trees to see properly. I can't think of another high resort that does so well for trees. Even La Plagne's trees are more spread out in smaller areas. The highest areas above Arc 2000 are perhaps less appealing. The run down to Villaroger from the Aguille Rouge is great but it's quite limited and the queue for the cable car is often very long. Go at lunchtime if you go up there. Don't be put off by the black piste designation. Apart from an avoidable bit near the start it's like an easy red. The 3 chairlifts you need to take to return are very slow. The runs in the main bowl above 2000 are good but again, a bit limited in that they're mostly easy cruising blues. A day trip to La Plagne is easy from most of Les Arcs (not Villaroger) but I'd be tempted not to go there. La Plagne is brilliant but, on a day trip from Les Arcs, you'll end up trying to traverse the nice areas without the time to properly explore them. So go to La Plagne but on a separate trip staying there. However, if you're staying in Vallandry/Peisey then La Plagne is very achievable as day trips; maybe focusing on one area at a time. The villages are mostly quite ugly and mostly lacking in nightlife although waiting for my transfer bus at 5am in Arcs 2000 there were people going home after a night out so there's late night fun to be had if you look for it! There's good food on the mountain and in some resorts. La Table de Lys in 1950 was great and felt like good value at about 150E for 2 people including good wine and glasses of champagne. Les Infents Terrible, on the piste above Vallandry, was good for lunch in the proper restaurant and only marginally more expensive than the self-service restaurant below. The Yuge app is quite good for tracking your progress/location/webcams/weather etc so download it. Finally, if you do get the full Paradiski pass, it currently gives you the afternoon free on the day before the pass starts so if you arrive in the morning you can get a free afternoon of skiing. Would I go back? Possibly, but I'm really keen to go back to the 3 Vallees first as I feel I've done Les Arcs for a while now. If I did go back, I'd stay in 1800 or in Vallandry for easy access to the cable car to La Plagne. 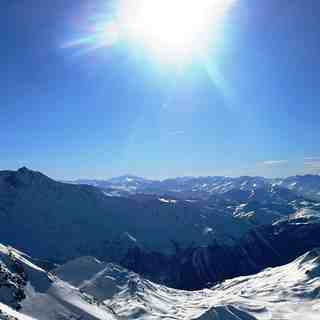 The Les Arcs skiing weather widget below is available to embed on external websites free of charge. 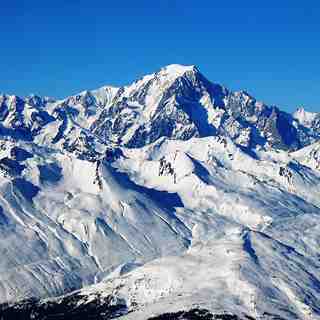 It provides a daily summary of our Les Arcs snow forecast and current weather conditions. Simply go to the feed configuration page and follow the 3 simple steps to grab the custom html code snippet and paste it into your own site. You can choose the snow forecast elevation (summit, mid-mountain or bottom lift) and metric/imperial units for the snow forecast feed to suit your own website…. Нажмите здесь, чтобы получить код для HTML-страницы.